Professor Quirrell | Expecto Patronum! “A foolish young man I was then, full of ridiculous ideas about good and evil. Lord Voldemort showed me how wrong I was. There is no good and evil, there is only power, and those too weak to seek it… Since then, I have served him faithfully, although I have let him down many times. He has had to be very hard on me.” Quirrell shivered suddenly. But let’s get back to Quirrell. There is something profoundly sad about Quirrell’s account of how Voldemort seduced him. Quirrell has become so deluded that he now thinks that his former belief in the existence of good and evil was a “ridiculous idea” – and that “power,” not morality, is the true foundation for action. Regardless of Voldemort’s relationship with Nietzsche… what becomes apparent from Quirrell’s words is that the influence Voldemort exerts over this young follower is like the influence of a cult leader. Quirrell has ceased thinking for himself. He believes that in balking at Voldemort’s commands, he is in the wrong, and that it is only fitting that Voldemort “be very hard on” him when he fails. For a moment in that classroom, Quirrell’s conscience made an appearance, offering a normal human reaction to Voldemort’s monstrous command. But Voldemort has so deeply programmed Quirrell (perhaps through a deadly combination of brainwashing and magic) that the young professor believes he must serve Voldemort faithfully, no matter what horrific deed the Dark Lord asks him to perform. And so, he does kill the unicorn… and now aims to kill Harry. Quirrell does not even question the necessity of sharing his body (and, as Dumbledore mentions, his soul) with Voldemort. But all Voldemort aims to do is use Quirrell for his own ends (just as he tells Quirrell to “Use the boy… Use the boy…”). Once Quirrell becomes a liability, though, Voldemort simply leaves him to die. This is Voldemort’s modus operandi – to seduce, use, and discard. And personally, I think there is plenty of foreshadowing here for later books in the series. In Quirrell’s words, we get a glimpse of how Voldemort seduced the previous generation of Death Eaters – teenage boys, really, recruited from within Hogwarts. He appears to have preyed on class and “blood” prejudices, and perhaps offered visions of nearly limitless power. 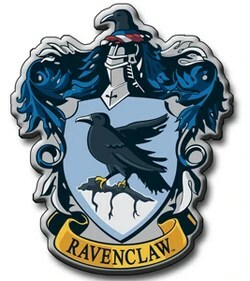 Though a couple of Death Eaters (Regulus Black and Severus Snape, in particular) had experiences horrifying enough to jar loose their programming and see through to the true nature of Voldemort’s regime, most of their compatriots remained loyal to the cause. The difference between Snape and Quirrell, though, is that Snape’s “double nature” is a product of his being a double agent. He fakes loyalty to the Death Eaters. He is authentically loyal to the Order. Voldemort truly believed double agent Snape to be a “good and faithful” follower. But it was the death of “faithful Quirrell” here at the beginning of the series that put the reader on notice that such things could happen… even all the way at the end. He saw his reflection, pale and scared-looking at first. But a moment later, the reflection smiled at him. It put its hand into its pocket and pulled out a blood-red stone. It winked and put the Stone back in its pocket – and as it did so, Harry felt something heavy drop into his real pocket. Somehow – incredibly – he’d gotten the Stone. The Dumbledore challenge is what everybody wants to talk about… even when we’re talking about the Heads of House! And wouldn’t you know I’d get to everybody’s favorite challenge just as my schedule goes into total meltdown? I’m finishing a Math class. I’m starting up my own classes. I’ve been writing Syllabi, getting administrative stuff taken care of, and now I get to launch in to 1st week lesson plans. But I won’t completely abandon you! We’ve talked in the Comments to previous posts about just how insurmountable Dumbledore’s Mirror enchantment is. I personally find it amusing to read Quirrell’s perplexity, and ultimately his mounting panic, as he begins to realize how far he is out of his depth. Quirrell came back out from behind the mirror and stared hungrily into it. Quirrell cursed under his breath. Note that Dumbledore entrusted an 11-year-old boy with the secret of the mirror… but did not similarly entrust one of his own staff. We learn later (as in TPT later) that Dumbledore had suspected Quirrell before the Halloween Feast. And we also learn (in TPT) that Dumbledore and Snape protected Harry for the purpose of allowing him to test his own strength. Harry intuitively has a sense of what Dumbledore is up to, even before knowing the details of why. Dumbledore’s enchantment seems tailor-made for Harry – for someone who would only want to find the Stone in order to prevent its falling into the wrong hands. But the beauty of using the Mirror for this purpose is that the Mirror itself could drive greedy people like Quirrell insane with desire. Add to that an utter inability to attain the object of desire, and you get a sense of the depth of Dumbledore’s enchantment. One of the commenters on the Snape task mentioned that the Logic Puzzle coldly leaves the unsuccessful individual dead or locked in that chamber forever. Well, Dumbledore just upped the stakes. In his challenge, the individual can get trapped in that chamber forever… and trapped with a Mirror that has the potential to drive him insane. But enough from me. I’d like to hear your comments. What does this task tell us about Dumbledore? [Harry] braced himself, saw the black flames licking his body, but couldn’t feel them – for a moment he could see nothing but dark fire – then he was on the other side, in the last chamber. There was already someone there – but it wasn’t Snape. It wasn’t even Voldemort. Well, you did if you’ve read this blog for any amount of time… and I write assuming you’ve already read the entire series at least once! But I bet you didn’t see it coming before you read (or saw) PS/SS! If you didn’t get sucked in by the Snape red herring, I’d love to hear from you in the Comments. But of course, I’d love to hear from you in the Comments regardless. For most readers, going into the final chamber and encountering Quirrellmort and the Mirror of Erised is kind of like going through the looking glass. Everything Harry (and the reader) thinks is a known fact gets turned inside out and upside down. The man doesn’t even stutter! Harry couldn’t take it in. This couldn’t be true, it couldn’t. And therein lies one of the biggest problems still plaguing HP fandom today. Harry is not the only one who can’t take it in that the bad guy isn’t Snape. Harry has so much trouble believing the truth that he starts arguing with Quirrell. It has to be Snape! Snape tried to kill me! What do you mean he was trying to save me? I saw you with him in the Forest! But he always seemed to hate me so much, and anyway, I thought that it was him threatening you in the classroom! No, it’s me. I’m the one who tried to kill you. Snape was trying to save you. In the Forest, Snape was trying to frighten me because he suspected me of trying to steal the Stone. Oh, he does hate you, but that doesn’t mean he was trying to kill you. That was my master, not Snape, threatening me in the classroom. Oh, and btw, I’m the one who let the troll in at Halloween. To nearly every one of Quirrell’s explanations, Harry offers a new objection. It’s rather like certain fans who continue arguing with Rowling that she could not possibly have meant that Snape didn’t remain a loyal Death Eater after he turned to Dumbledore. After all, he was such a nasty git to Harry! Well, to his great credit at least, Harry eventually gets over it. Let’s hope the same for those poor, sad fans who never do. 11-year-old Harry confuses attitude with action. Snape apparently hates him (attitude); therefore, Snape is trying to kill him (action). This has got to be some sort of unnamed logical fallacy! Any suggestions on what to call it? Learning the truth at the end of PS/SS is Harry’s first big adventure into separating appearance from reality, but it is only the first. In CoS, a seemingly friendly voice in a diary is actually the voice of 16-year-old Tom Riddle/Voldemort. In PoA, the psychotic murderer who is supposedly out to kill him is actually a loving godfather who was framed for his “crimes.” In GoF, the DADA professor who inspires his career choice is actually a Death Eater trying to feed him to Voldemort. etc.,etc.,etc. It is no wonder that when Harry emerges from the Pensieve in DH after witnessing one final reversal in perception, he believes what he’s seen immediately, without question… despite having thought only an hour before that Snape was a murderer and a traitor. By the end of DH, Harry has been well trained by experience to know that appearances can be misleading. And that experience begins right here, at the end of PS/SS. That’s the grade I’d give Professor Quirrell’s protection for the Stone. Why? Because, it’s bogus! It’s just a waste of space! He had a way with trolls, so he planted a troll in order to get past it easily. Since his method for getting past it meant knocking it out, he basically allowed anyone who came after him to get past the troll as well. So Quirrell, I don’t think, really counts. So here’s a little question I have for all of you. Is there any remotely canonical visual representation of how the bottles should be arranged – size and all? Is it possible to recreate the bottle presentation by means of the poem? Is it possible to figure out the answer to the Logic Puzzle without the visual aid of seeing the bottles? Please let me know in the Comments thread. 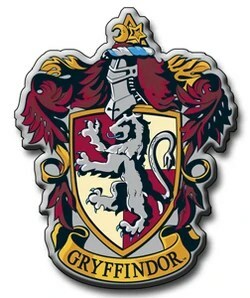 Firenze suddenly reared on his hind legs in anger, so that Harry had to grab his shoulders to stay on. The confrontation between Firenze and the other centaurs takes place after the thing that’s lurking in the forest – the thing that’s drinking unicorn blood – stands up and comes straight at Harry Potter. It is, of course, Voldemort, or Quirrellmort (as some like to call him at this stage of his “comeback”). And this is the first encounter between Harry and Voldemort since Voldemort gave Harry his scar. The sound that “Quirrellmort” makes, curiously enough, is a “slithering” sound, and it is definitely out of place. It doesn’t sound like anything Hagrid has heard before in the Forest. This out-of-place sound appears twice – first, while Harry is with Hagrid and then later when Harry is with Draco. 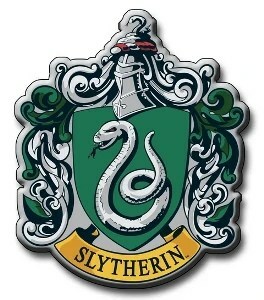 The fact that the sound is “slithering” conjures images of snakes… and reminds us subconsciously (or perhaps not so subconsciously) of Slytherin. And in reminding us of Slytherin, it reinforces the “Slytherin = Evil” notion that Hagrid first introduced to Harry in Diagon Alley. The cloaked figure reached the unicorn, lowered its head over the wound in the animal’s side, and began to drink its blood. Malfoy let out a terrible scream and bolted – so did Fang. I find Draco’s reaction worth noting. It is easy to assume that it’s simply cowardice… except that Harry (who is hardly a coward) will find his own feet bolted to the Forest floor in fear. In addition, about 6 years from now, Draco will endanger his own life to save Harry and his friends at Malfoy Manor, and will endanger his life to save Gregory Goyle when the Room of Requirement is engulfed in Fiendfyre. So I’m not as certain as I was when I first read this passage that Draco is simply a coward. Surely he’s scared. He’d be a fool not to be. Harry’s scared too. But his response indicates to me that he is more than merely frightened. He is horrified. After all, he watched the cloaked figure slither up to the unicorn. It was only when it began to drink the unicorn’s blood that he let out the cry. I find this potentially significant because this is the boy who will ultimately find that he is unable to commit murder. And this is his first encounter with the person who will charge him to commit murder. And he is as horrified here as he will later be when Voldemort murders Charity Burbage over the dinner table at Malfoy Manor. In other words, I think that this could very well be our first hint that Draco is not as “bad” as he’d like to believe he is. And as for Voldemort himself, I find it curious that he’s driven away by Firenze. True, he doesn’t have his full powers. He doesn’t even have his body, and he is reduced to drinking unicorn blood in order to preserve some semblance of life. But still… this is Voldemort himself! The Dark Lord! You Know Who! He Who Must Not Be Named! And he’s slinking – or slithering – around in the Forest and getting chased away by centaurs! The hooded figure raised its head and looked right at Harry – unicorn blood was dribbling down its front. It got to its feet and came swiftly toward Harry – he couldn’t move for fear. Then a pain like he’d never felt before pierced his head; it was as though his scar were on fire. Half blinded, he staggered backward. He heard hooves behind him, galloping, and something jumped clean over Harry, charging the figure. The pain in Harry’s head was so bad he fell to his knees. It took a minute or two to pass. He has never felt anything like this before. And this pain – this connection between Harry and Voldemort – will only grow stronger during the course of the series. We know (or will soon know) that Quirrell encountered Voldemort during a trip to Albania and allowed the Dark Lord to become his master. Since that trip, he has developed the “stuttering Quirrell” persona – so much so that Hagrid mentions it on their trip to Diagon Alley. This indicates to me that he has probably already taught at least one term since his return. If that’s the case, then did Voldemort time his attempt to steal the Philosopher’s Stone (and gain eternal life in bodily form) to coincide with Harry’s appearance at Hogwarts? Yes, I know the whole thing is contingent upon encountering Quirrell in Albania. But I mean afterward. If Quirrell has already taught a term, then did Voldemort decide that the time would be right when Harry arrived? Or is this Quirrell’s first term back, and is this actually Voldemort’s first opportunity to resume bodily form, and is it merely coincidental that it all coincides with Harry’s first term at Hogwarts? But let’s not forget… Harry was the target of the attack that murdered his parents. And Voldemort is scared of this boy. 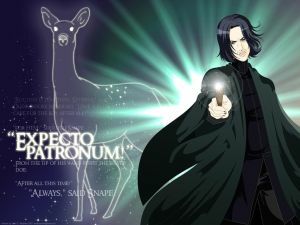 Whatever the case, in their discussion about the properties of unicorn blood, Firenze gives Harry the clues he needs in order to figure out who the hooded figure is and why Harry’s life is in danger – clues that ultimately enable Harry to score his first Hogwarts defeat of Voldemort… and escalate his misinterpretation of Snape’s motives.